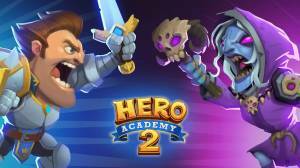 Inspired by the original Hero Academy this long awaited sequel is a online tactical strategy game that now has elements from Heathstone added to it. New features include gamedeck building, new characters and battlefields. Matches are in real-time and the objective is to assemble and equip a team of heroes which then battle it out in a movement-based combat system where although the mechanics are easy to learn the strategies can be complex. What are the Game Modes? What are the Currencies and how do you get them? How do you use Equipment and Spells? How do you Craft a Specific Card? How do I get Gold Vanity Skins for my Cards?